DISRUPTIVE construction in Sri Hartamas, Kuala Lumpur is worrying the residents who have made countless reports to the authorities. The construction of an apartment building, which has been going on since 2015, has raised concern among residents living opposite the development. A representative of Hartamas Regency 2 residents association, who wished to remain anonymous, said construction continued during weekends and public holidays, and drivers parked their overloaded lorries along the road. “There is no visible work permit signage to show their working hours. We have seen lorries carrying sand parking there, making the area more congested during peak hours. The lorries even come in during weekends and public holidays. He said the contractors claimed to have told their workers to park at a nearby parking area. However, the workers are not adhering to this instruction. He said another tenant of the apartment was threatened by one of the workers while driving on the single-lane road. Checks by Actionline showed only one road leading to the residential apartment. A worn-out signboard at the entrance of the development from 2015 was visible. There was also a showroom down the road filled with construction materials such as bricks. 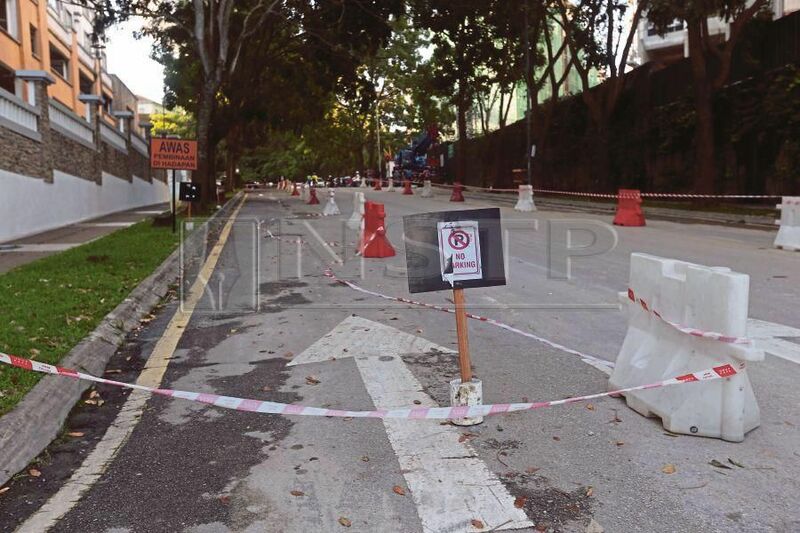 Although traffic cones were placed along the area to prevent vehicles from parking there, a lorry managed to get inside the closed-off area. A spokesman for Kuala Lumpur City Hall (DBKL) said checks had been conducted and compounds had been issued to the contractor.